Relocate to the Orana region. Searching for more time to do the things you love? Live and work in the Orana region. One of the best things you’ll find when you relocate to western NSW is the extra time you’ll have to enjoy life and all the activities living in the Orana region has to offer. You may choose to contribute to a business chamber or a new sporting team, enjoy a meal and country hospitality at the local pub, or take a leisurely walk around our beautiful rivers. All of this is just part of the relaxed lifestyle we live in the Orana! The short commute times without traffic congestion will allow you to spend more time with your loved ones. Picture this scenario. It’s a short 5 minute drive to work, where you can really make a difference within a small to medium sized workplace. You might take a lunchtime break to enjoy a picnic by the river with friends, before working through the afternoon, and then it’s another quick 5 minute trip home. You’ll have so much more time to do the things you enjoy, and spend more time with the people you love. The Orana region is made up of safe, welcoming communities, where you’ll find it easy to make friends. Relocate to the Orana and you’ll soon discover that it’s easy to meet people who share your interests, and fit right into their social networks. You might be surprised by how many familiar faces you see “around the traps”, after just a short time living and working in the Orana. Relocate to the Orana and “live the great Australian dream” by purchasing your own home. With housing prices as low as $106 000, you’ll be able to become a home owner without the stress of high mortgage repayments that take a large chunk of your hard earned income. And if home ownership isn’t for you just yet, the rental prices are just as affordable. You can rent a house for as little as $200 per week. You’ll have much more freedom to spend your money however you choose…will it be an overseas trip, family holiday or further investments? You’ll have so much more flexibility when you live in the Orana region. And we haven’t yet mentioned all the exciting events which happen all around the region. See our featured events calendar to discover! The Orana region is home to various educational facilities. There are numerous child care centres and preschools, primary and secondary schools as well as post-school education. 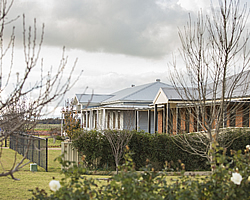 The Orana offers both public and private school education, and TAFE Western has colleges located in 13 towns within the region. Charles Sturt University has a campus in Dubbo, located within a 3 hour drive of most towns.